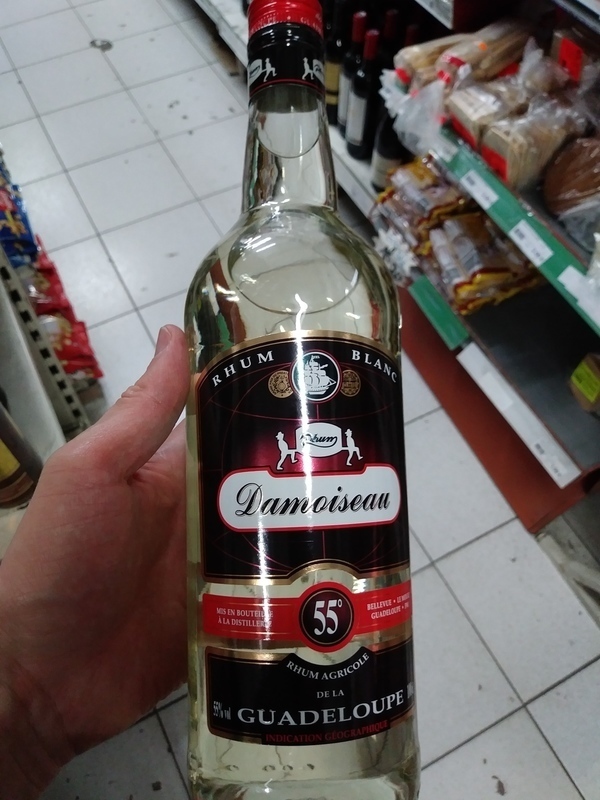 Have you found an online vendor selling Damoiseau Blanc 55%? There is a tomato-like flavor in the afterburn to their rhums, but that's the terroir of the cane Damoiseau harvests. Not my favorite tasting rhum, but unique to the region. They are the only distiller (as of 2018) on Grande Terre, and serve their market on this island extensively - it's very easy to find in general. All said, seek the 55º, which is not as readily found as the lower proofs. It has better character and overall flavor than their other blancs, as most of the reviewers have accurately described their experiences with it. Makes a great cocktail (planteur punch, etc. ... ) base, it is a potent mixer. Tip: It mixes better with canne sirop than granulated raw sugar when making a ti' punch. Enjoyed a bottle of Damoiseau Rhum Blanc 55 while vacationing in Corsica. Bottle and label design looks quite dull and unimaginative. Very reasonable EUR 19 price. Typical dry notes from the Rhum Agricole manufacturing process straight to the nose and palate with plenty of fruitiness. Very strong burn at the end. Mix it with your favorite soda and down it goes. Better than I was initially expecting. I tend to try rums with flavored seltzers, and they complimented the flavors very well. Huge nose. Bartender suggested creamed corn, and he's right… but also with corn fungus. The fermentation vat must have been busy! Fortunately, it's sweeter on the palate. The strength is just about right. The finish is shortish but pleasantly warm. Despite the challenging nose, I would love to try this in a Ti' Punch. Je trouve peu de finesse à ce rhum; à diluer absolument! Ce rhum fruite est tres bon melange.mais il a du mal a se boire sec et meme en ti punch.il faut le diluer car fort en bouche.on dent la qualite mais il faut aimer le cote alcoolique.note 6.5.je prefere le 50 et durtout le vsop de tres loin. Ce rhum est parfait pour les Ti-punch et les Cuba libre !